It’s no secret that what we eat and drink before we go to bed can have different effects on our health. Maintaining healthy habits before going to sleep at night will result in better sleep and a healthier lifestyle. On the other hand, maintaining unhealthy habits at night will most definitely have a negative impact on your health. Green tea is the most popular tea in the world. Originally from China, green tea is a staple of nearly all Asian countries today. 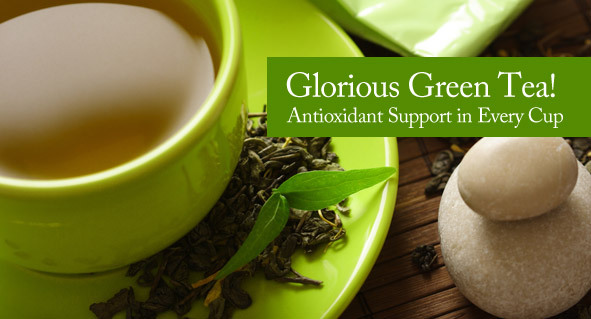 Additionally, green tea extracts have been used in ancient medicine in both China and in India for thousands of years. Many people will drink a glass of warm water or even milk before bed. What most people don’t realize is that a cup of caffeine free green tea is actually the best thing to drink before going to bed. There are now many studies that prove drinking green tea at night will make you smarter. 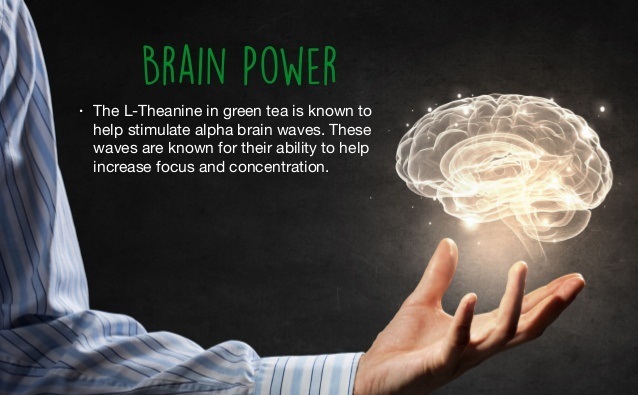 You don’t actually learn more by drinking green tea, rather the tea helps improve your brain function. This results in clearer thinking and better problem solving. Green tea is a fast and easy way to help shed a couple of pounds. Replacing milk or alcohol at night before bed with green tea will drastically reduce the number of calories you consume right before falling asleep. This is crucial for weight loss as your body burns the fewest calories while at rest. Those who drink alcohol before bed stand to gain the most by making this one simple change. Imagine replacing a 120 calorie beer every night with a zero calorie cup of green tea. Those calories will add up quickly! Green tea contains very powerful antioxidants. These antioxidants help protect cells from damage and illness. In fact, the Chinese have been using green tea to help fight disease and sickness for tens of thousands of years. Similar to the previous benefit, green tea helps your body not only fight illness but also cancer. Drinking one single cup of green tea before bed can drastically reduce your risk of cancer. Specifically, studies have shown that green tea helps prevent breast, colon and prostate cancer. So men and women alike should both take advantage of green tea before bed. Catechin, a natural phenol and antioxidant, in green tea helps destroy the bacteria streptococcus which causes bad breath. Not only does it cause bad breath but it also leads to tooth and gum decay. Drinking green tea before bed will help address many oral health issues you may have. And no one wants to be known as the person “with really bad breath”. Keep drinking green tea and everyone around you will be thankful. Living an unhealthy lifestyle can have serious long term implications including the risk of developing diabetes. Similar to the weight loss benefits of green tea, replacing sugary drinks and sodas with healthy hot tea can go a long way in reducing your chances of developing diabetes. Every time you drink a cup of green tea before bed instead of a soda you are investing in your future health. Drinking green tea before bed will also help increase your blood circulation. Increased blood flow results in more oxygen and nutrients being delivered to your muscles and organs. More oxygen and nutrients are your body’s disposal means increased performance and stamina. Increased blood flow will also help enhance both men’s and women’s sexual vitality. So keep drinking green tea before bed and you’ll be guaranteed to have more fun while in bed! Green tea is known to have a very calming effect. If you find yourself struggling to fall asleep at night or if you go to bed anxious or nervous, try a cup of green tea. Green tea will help calm your nerves and help you relax. Enjoying a cup of green tea before bed you should experience a much more peaceful and uninterrupted sleep. Better quality sleep is something everyone should strive for. Regularly drinking green tea before bed can help you live a longer and healthier life. Anything you can do to improve your health will result in a longer and more fulfilling life. Wouldn’t you love to ensure a longer life for yourself and your loved ones? Do yourself a favor and make sure you have a cup of green tea before bed. Some of the oldest humans on earth have all endorsed the benefits of green tea. There are more benefits than just those listed above – and there are probably even more undiscovered benefits of drinking green tea before bed. These benefits alone, however, should make it clear that regularly drinking green tea should be part of your life. If you aren’t yet drinking green tea before bed you may want to consider starting it as soon as you can. There is no harm in making small lifestyle changes to better yourself. Especially think of how amazing you’ll feel after your body gets used to a daily dose of green tea before bed. Previous ArticleShould You Use Creatine While Cutting? Next Article Is Rice Fattening?